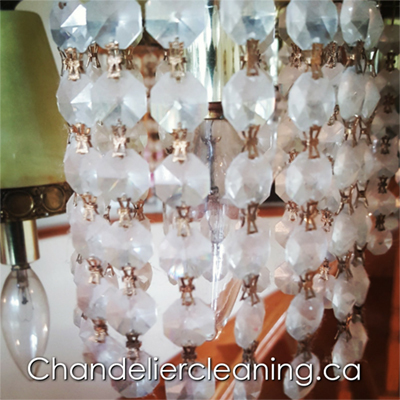 Do you remember the last time you cleaned your crystal chandelier? So maybe it is time! We service residential and commercial clients in Toronto. 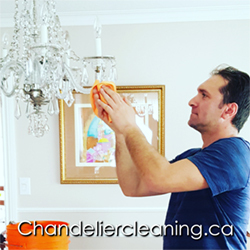 For over 10 years, Chandelier Cleaning has been a regional leader serving homes and businesses with experience and excellence. From hotels and commercial businesses to single-family homes and apartment buildings, no job is too large or too small. Chandelier Cleaning maintains the highest standards of excellence in the cleaning and care of your chandeliers and light fixtures. We pride ourselves in offering superior customer service, an exceptional eye for detail, and the utmost professional care and precision when servicing your chandeliers and light fixtures. 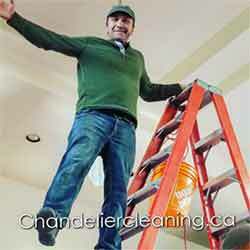 Chandelier Cleaning Services is the only chandelier / lighting fixture cleaning service provider you will ever need. 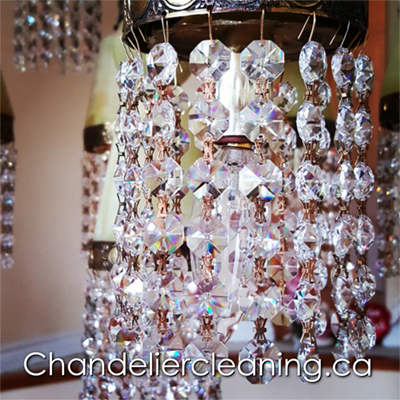 Has your chandelier lost its sparkle, gotten dusty or developed a white haze on the crystals? If you have any questions or would like to schedule an appointment, Contact as today call our office (416) 829-9038 or fill the form for us to call you. We offer a FREE estimate to help determine the scope of the project before we begin. Each piece is treated with a safe, non-abrasive cleanser that removes discoloration. We also use agents such as special chandelier cleaners or simple soap and water to remove dust and grime. We never use harsh agents that could damage any of your chandeliers. We ensures that all metals are treated with a product specific to that material, such as brass cleaner for brass parts. The frame is thoroughly cleaned inside and out. After cleaning, each piece is dried to avoid water spots on crystals or moisture around electrical receptacles. We have been expertly lending our craft to cleaning. We will come to your home or business and take care of all your chandelier needs. We are fully insured and handle many of the area’s residential or large hotels, ballrooms and banquet halls. Most jobs will be done in the convenience of your home, hotel, banquet hall ballrooms or business. We specialize in cleaning chandeliers of all sizes, all types (brass, iron, glass, crystal), and at any wall or ceiling height for both residential and commercial properties. 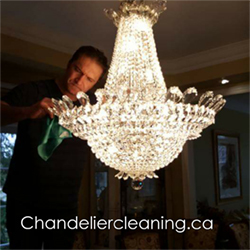 At Chandelier Cleaning, we have over 10 years of experience with chandelier treatment in both commercial and residential properties. Did you ever had your chandelier cleaned? Revive the brilliance of your chandelier and contact us today for an expert chandelier Cleaning service. 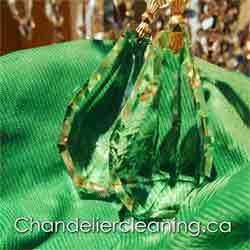 Restore Your Chandeliers with us. How dirty is the chandelier? If your chandelier is looking dusty covered with spiderwebs and its normal beauty and brilliance faded, it is time for a thorough professional cleaning. Although you may be tempted to undertake a do-it-yourself project, cleaning a chandelier is not as simple as it seems. These delicate fixtures are built with multiple parts such as floating prisms, electrical wiring, light bulbs & receptacles, candelabra, and frame. Frames are made of various materials such as glass, crystal, bronze, brass, iron. Each unique material requires specialized cleaning agents. Fixtures include lightweight single tiers with lights and drops to those that weigh several hundred pounds and need professional chandelier cleaning techniques and specialized equipment to prevent damage. Residential and commercial chandelier Cleaning. I would just like to let everyone know that you have done a great job at cleaning all of our chandeliers. The chandeliers sparkle even in the evening. Everyone that see them remarks on how great they look. I want to thank you for the excellent work. This is the second time I have had this professional team in my home. They cleaned my windows which I have 40 of. They cleaned 7 chandeliers and 7 exterior lights. I am so impressed with how they work so hard, they respect my home and belongings, they are very kind and do an excellent job. The attention to detail impressed me. I highly recommend this company and their price is good. It is well worth the investment! Called place to find out if they do repairs (which they don't) but owner was such an amazing stand up guy he asked questions on what product I used and what he uses and the mistakes I made to cause crystal legs to crack. To top it off provided few contacts that do repair. My experience with Gal Frenkel was excellent. He was very professional and friendly. He cleaned 7 fixtures in our condo and they are all sparkling beautifully. I highly recommend Gal and I will certainly use him again when necessary.